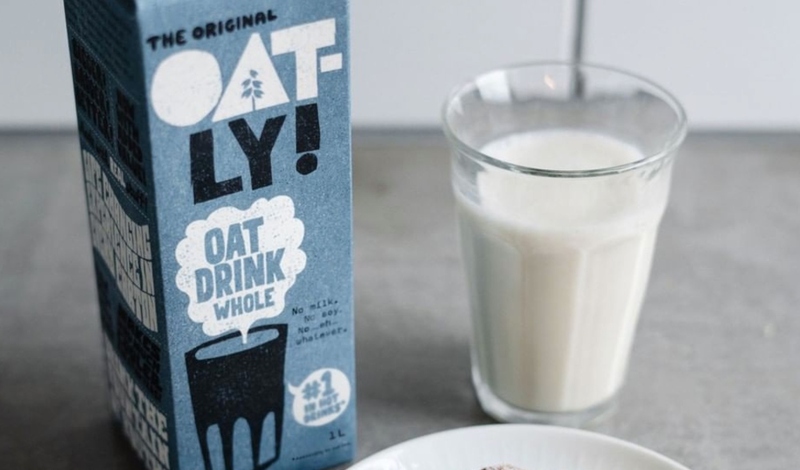 Swedish oat milk brand Oatly has issued a recall notice for one of its vegan drinks, as it 'may contain metal'. The potential contamination only affects a batch of 'Oatly Oat Drink Whole' that was sold at Tesco and has a best before date of April 29, 2019. According to the Food Standards Agency (FSA), the potential contamination means the product is 'unsafe to drink and presents a safety risk'. "Oatly UK Limited is recalling a specific date code of Oatly Oat Drink Whole 1L as it may contain metal pieces," said the FSA's alert. "The presence of metal makes this product unsafe to drink and presents a safety risk. This affected date code is only sold at Tesco. "If you have bought any of the above product do not drink it. Instead, return it to the store from where it was bought for a full refund." "As a precaution we're doing a recall of an isolated batch of Oatly chilled Oat Drink whole that might contain metal pieces from a broken machine part," said a statement from Oatly. "The risk is very small but we always put safety first and want to make sure we eliminate any risk. "No further stock was impacted on the affected production line, or any of our other products."